Actually I revisit Gresca (C/ Provença 230, (+34) 934 516 193, website) as often as I can, which isn’t as often as I’d like. 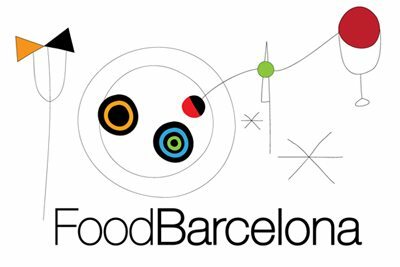 I tend to send people there a lot, however, when they ask me: ‘What’s your favourite restaurant in Barcelona’. In fact, Gresca isn’t my favourite restaurant, but it’s my favourite that just about everyone can afford. For Michelin-star-worthy creative cooking on a budget, you simply can’t beat it. A case in point: in January I directed my friend Shawn Hennessey (all-knowing super guide to tapas in Seville whose brilliant tapas tours you should certainly take if you visit) there after she’d been underwhelmed by Barcelona’s comparatively poor tapas scene. This is a restaurant city, so I always advise people to eat what it does best: restaurant food. Shawn duly went… and she loved it, as I knew she would. Then in April I enjoyed a ‘short tasting menu’ lunch at Gresca in the delightful company of Annie Bennet, a travel writer for, well, lots of publications but especially The Daily Telegraph. Gresca does a few tasting menus, of varying lengths and prices. This one was (I think) about €35 a head. Forgive the imprecision: I wasn’t taking notes that day, so I’ll just leave you with a few camera phone shots. How this place is yet to earn a Michelin accolade is beyond me and beyond everyone who’s ever eaten there. But (sorry, Rafa) I sort of hope it stays that way. Gresca’s not exactly an under-the-radar restaurant but it’s not a full blown star either. Those of us who’ve eaten there know better and we’re happy to recommend it but even happier to still be able to get a table. We were just there and had the short lunch tasting menu at 43 Euro. Enjoyed it very much. Decor terrible. Bad 70s music piped from the bar did not help.